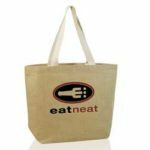 Carry your wine bottle with convenience in the Jute Wine Bag-Single. 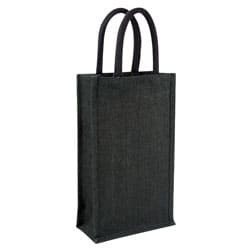 This bag is made from jute and has reinforced edges for added durability. It has two woven rope carry handles so that you can carry the bottles without any worry. 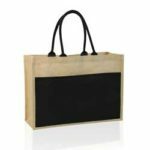 The bag has a 10 cm gusset and is 35 cm in height, offering you enough space to carry one standard size wine bottle at a time. You can use this as a giveaway item during festivals, concerts, in restaurants and hotels, and in liquor shops.